Every parent wants their child to excel at school, be the best in class, pass examinations in flying colours and do extremely well academically. Many will do anything within their means to see their child’s grades improve at all costs, some even go to great lengths to get teachers on their good side to favour their children during exams and various other despicable methods. Honestly, this will not do much good in the long run. If you are reading this, you probably have a child or children in school who aren’t doing well or who are preparing to take WAEC, JAMB or NECO examinations or any other external examination or you are just very concerned about consistent academic improvement. Either way, here’s one thing I can assure you, if you put these into practice, soon, your child will be doing exceptionally well and clinching all the awards at the end of the session. Get Involved- Yes, for your child to improve academically, your commitment and involvement is required. Children need moral support and guidance every step of the way and they cannot do it without your help. So despite a tiring day, set aside at least 15 minutes daily to catch up with your child’s schoolwork. It makes all the difference. Create a schedule- Having a daily routine is a good habit to inculcate in your child. Together plan daily activities, create priorities and allot a specific time to homework and personal study. Choose a time when they are most active and mentally alert. Set long-term goals for each term and short-term goals either daily or weekly (learn how to set short-term and long-term goals here). Discuss each subject together and decide on your preferred grades, write them down and make reference to them daily with your child. Record progress, set-backs and achievements in reaching these goals. Read. Read- Reading cannot be overemphasized, according to a research by renowned author Stephen King, a minimum of four hours study every day is recommended but you can start with an hour or two. Also, teach them how to read (learn how). Many children read but do not know understand, that’s why you hear a lot of them say”I read a lot, I don’t know why I fail”. Here’s why- when they read without understanding it could be confusing and frustrating. If they come across a topic they do not understand, they should break it down into bits, or ask someone more knowledgeable for help. Likewise, the study environment is crucial, a calm environment works best. Teach them to understand themselves and what works best for them. Do they prefer reading with music playing in the background, or do they need quietness for better focus? Whatever the case, ensure the environment is comfortable and conducive for learning. Schedule Home/Weekend Lessons- Lessons provide an interactive, one-on-one teacher-student relationship in a way that the usual school classes don’t. They are vital study supplements that your child cannot do without. Children are more open to asking questions and are exposed to a lot of exercises and practice questions during the course of the lesson. So, make sure you enrol your child for after-school lessons or private lessons. Looking for quality lessons`in Ibadan? Be a step ahead- Ensure your child does extra assignments and exercises in the textbook, buy next sessions’ books and let your child familiarize with the topics of each subject ahead of time. Gather past questions and answer booklets, remind them to ask for question papers after every exam or test for due revision. Catalogue test papers, scripts and report cards- Create a file or storage for keeping test papers of your child. Teach your child to bring back home test questions or scripts and save them for future revision. Pray-Prayer always creates an aura of assurance and confidence. Especially during tests or examinations which are associated with tension, anxiety, fear and even blackouts. Remember to always pray with and for your child before any examinations. It works. Commitment to trying out these few tips at least for a single term will yield results, your child’s grades will definitely shoot up. 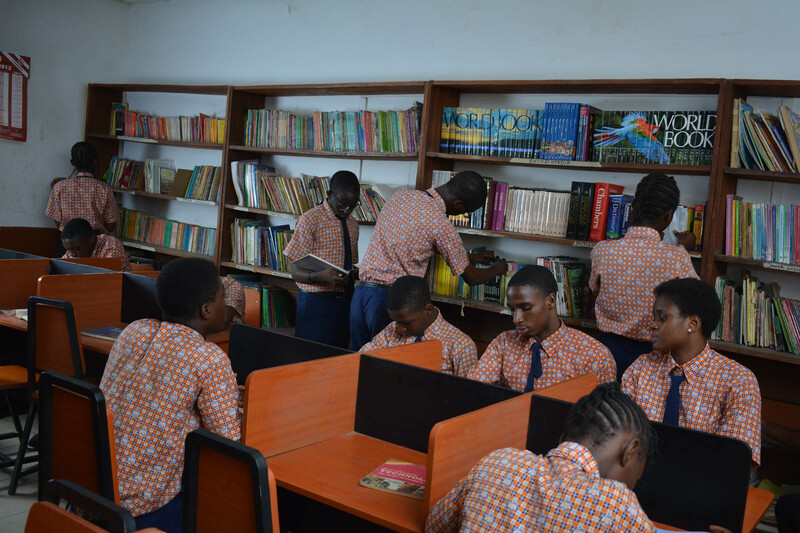 Even for children residing in boarding facilities, discuss these tips with them, encourage them to try it out on their own and watch how they begin to excel academically.